Italia Yachts, the Made in Italy brand that has been growing fast on the national and international markets, has set ambitious expansion goals for the near future. The shipyard, benefitting from the advent of the Vitulano family in the holding company, has succeeded in investing no less than 50% of the production value in a year, and is now aiming at reaching other relevant development targets. The same targets that generated orders for 14 boats, in the range of 10 and 15 metres. Especially focusing on North America, Italia Yachts is aiming at expanding a market currently amounting to 65% sales in Italy and 35% abroad, including countries as Australia, the USA, Chile, Estonia, Rumania, Denmark, Germany, France and Hong Kong. 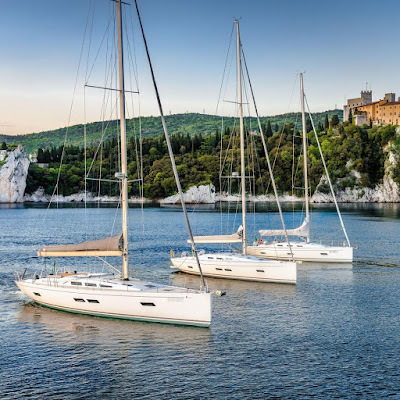 To meet its goals the shipyard will be exhibiting at some of the most attended boats shows, and namely in Sydney Australia, Cannes in France, Genoa in Italy and Düsseldorf in Germany, to showcase the new models and reinstate the brand’s identity. The guidelines set by the CEO Francesco Pisciotta are clear: proceed in the re-organize and rationalise production, customer care - from rigging to sails, from reception to delivery- commercial and racing, using the know-how of all the professionals from Italia Yachts’ staff. “We moved our headquarter to the “Saline” in the Venice lagoon, a location having state-of-the-art equipment, set on the island of Chioggia where one of the oldest Italian shipyards was based, and where highly experienced craftsmen are available. A move that provided for a higher production capacity, with the creation of an in-house carpentry led by a highly skilled woodworker, that can guarantee the quality of the interior fittings of each and every boat. We also worked in parallel to bring together in Chioggia the planning and sales departments, under the guide of Franco Corazza, while Daniele de Tullio will keep on following the racing aspects and the development and servicing in the Americas. Moving Italia Yachts’ headquarters in the vicinity of the sail-loft owned by Franco Corazza and Marco Schiavuta, has also made for a better interaction for all the activities connected to the sail production and rigging.” Explains Pisciotta who, besides a market growth, is aiming at having a most comprehensive customer care for the owners. The plan also includes investments by Italia Yachts at the bases of Nautilus Fiumicino, close to Rome’s international airport, and ICM in Varazze on the Ligurian riviera, two locations that offer the best in terms of technical assistance, customer care and reception to make any Italia Yacht’s owner always feel at ease and welcome. From a sail-racing perspective, recently the Italia Yachts 9.98 Immac Fram owned by Germany’s Kai Mares was runner-up at the ORC/IRC Worlds in the Netherlands in the C division, with 39 entries and no less than three IY 9.98 finishing in the top 8 positions, proving the success of a brand that combines style, design and performance.